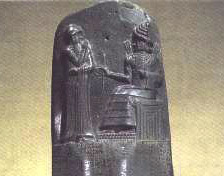 The detailed depiction of an Annunaki deep space command module carved in an ancient Sumer cylinder seal is startling. It's image is amazing in a number of ways, it is heading inbound toward the center of a diagram of our solar system. The ancient Sumer were generating information about all of our neighboring planets 6500 years ago. The great Sumerians left us a massive amount of data related to their gods the Annunaki. The word Annunaki is Sumer for "those who from heaven came". They give credit to Enil and Enki, two Annunaki leaders for almost all of mankind's discoveries. Ultimately giving a high tech account of how the Annunaki used their own blood to genetically engineer a hybrid creature from an earth man and themselves. According to the Sumer we are the results of this creation. Babylon grew from the Sumerian empire and honored the gods of the Sumer. Recent discoveries point to the possibility that the Annunaki remained on earth during the time of the Sumer, Babylon and the Assyrians, 3500 B.C. until 600 B.C. The Annunaki assisted these civilizations with technology and training. Hammurabi King of Babylon is credited with handing down a code of laws to his people to live by. Over 400 unique laws that governed everything from life and death to live stock, marital problems, slavery almost every possible dispute individuals could find themselves in. However, the Sumerians were recording these ideas a thousand years earlier. The image of an Annunaki is engraved on a monolith that includes the codified laws. The Annunaki are always depicted as very large in stature. They are usually seated when dealing with humans and are as tall or even taller when in a sitting position. If they were to stand they would tower over the humans. Hammurabi most likely took out the 400 laws from the archives and dusted them off and re-issued them, perhaps at the behest of the Annunaki. The Annunaki were re-establishing their cities around the middle east and the world during this time. They were driven out circa 12,000 B.C. by a global cataclysm of flooding and climate change. Abraham, a.k.a. Abram the Hebrew patriarch was a Babylonian from the city of Ur. According to the Hebrew Bible as written by the Egyptian Moses, Abram decided to leave Babylon and head out to make a new life for himself and his wife Sarai. If the Annunaki were present in Babylon as many ancient relics evidence, then Abram would have known of them and most likely would have seen them. After leaving Ur and traveling to Canaan or present day Lebanon, he encountered god or what he knew as god, the Annunaki. The Hebrew Bible records many encounters with beings that Abram believed were god. 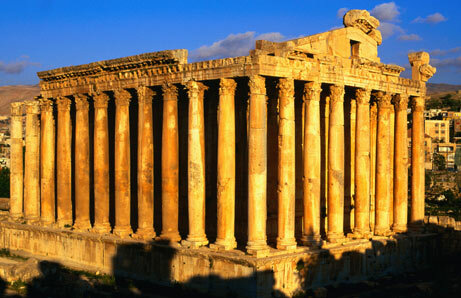 The great Annunaki spaceport in Baal Bek Northern Lebanon known by the Romans as Heliopolis was close by. The Temple of Jupiter is considered to be the main launch complex where shuttle vehicles carried Annunaki to and from space. Their large command platforms as depicted in Sumer engravings orbited above. The Annunaki were obviously advanced geneticists, The Sumer, Babylonians, Assyrians and Egyptians all created engravings of strange hybrid creatures associated with the Annunaki. Not to mention that the Sumer claimed that ancient earth man (Homo-Erectus) was improved by mixing the blood of the Annunaki with the blood of early man resulting in modern humans. One story in the Hebrew Bible centers on Abram's wife Sarai who was said to be old and barren. The angel of god went to her and she became with child. It seems that the Annunaki were always artificially inseminating something. Sarai gave birth to a child. 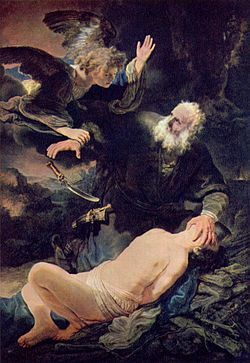 Moses, the Hebrew that as the story goes became an Egyptian prince and later wrote the first five books of the Bible. He was raised and educated in the Pharaoh's palace. Some modern researchers believe the Pyramids were built by the Annunaki and are large machines of some kind. Some have speculated that they may have been massive microwave generators that beamed energy to spacecraft in geo-synchronous orbit. Moses would have been schooled on the Annunaki and their role in Egyptian culture. Moses wrote in the first chapter of the Bible that the Sons of god came back and forth from heaven. He went on to say, these Sons of god loved earth women and had children with them and the offspring became giants, known as the "Men of Renown". Moses would have learned about the Annunaki and may have even encountered them just as Abraham did. Moses' accounts of meeting god on mount Sinai and being given the ten commandments from god could have come from the Annunaki. Moses would have seen and learned Hannurabi's laws in school. The Annunaki gave these laws to the Sumer and Babylonians and they would have been a part of his curriculum. The creation story of Adam and Eve was also a Sumerian epic recorded thousands of years earlier that would have been handed down to the Egyptians. Moses wrote a history of the Annunaki and their interactions with man here on earth. It's easy to see why Abram would have called these creatures god. They were imposing, had flight and advanced technology and medicine. Moses would have seen them the same way. The offspring of human females and Annunaki called the Nephlim were discussed in later books of the Bible. The stories of the Bible took place in the shadows of Baal Bek a major Annunaki hub. 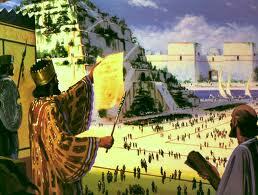 When Hebrew scouts went to look for more promising lands they came across these old Annunaki cities and the Nephlim. They described them as giants that made them feel like grasshoppers. 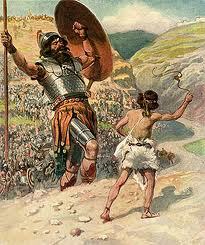 Goliath was most likely a Nephlim. The Vril Society a psychic cult under direct oversite of the German SS and Hitler from 1936 until 1944 claimed to be in direct contact with an advanced civilization in space. The historical record is rich with details about this eye opening cult. 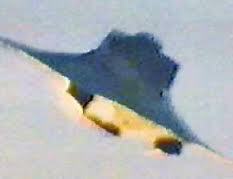 A group of women with very long hair produced blue prints of advanced anti-gravitic aircraft known as Vril Discs. These machines were capable of extremely high speed operations. Plans for other advanced weapons were also delivered to the SS by the Vril women. SS scientist Werner Von Braun and his associates remarked that they received instruction from "Them" the space people. The Vril women wrote the information down phonetically and German researchers thought is was an ancient German dialect. However, further research found it to be close to ancient Sumerian. The German SS scientist gave much of the credit for their advanced weapons to these others. Today the internet community is a buzz with speculation about the Annunaki and their return. 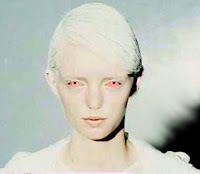 A photo of a modern Annunaki was supposedly leaked by operatives at a secret facility in Australia known as Pine Gap. The photo reveals a large hermaphrodite with very strange features, yet very beautiful overall. In one account of a Government researcher that was present at a high level meeting with this Annunaki , tells an interesting story. The Annunaki was seated at a large conference table with six other officials. The Annunaki was warning the officials to be on guard with their interactions with other space fairing beings. This official became somewhat suspicious of the Annunaki and said "How do we know you are for real and not just a human like us?" The Annunaki immediately split herself into 20 more individuals that were all separate and animated. Apparently this convinced the Government official that the Annunaki was genuine.